Omelyan says a consensus is found with the Boryspil airport. Ukraine's Minister of Infrastructure Volodymyr Omelyan says that negotiations on bringing the largest European law cost airline Ryanair (Ireland) to Ukrainian market are close to completion. "I believe that Ryanair will enter the Ukrainian market. The negotiations are at final stage. We have managed to reach a consensus with the airport Boryspil, earlier it was reached with the Lviv airport. 2018 will definitely be the year of cheap air travel," Omelyan said on the TV channel Direct on Wednesday, 13 December. 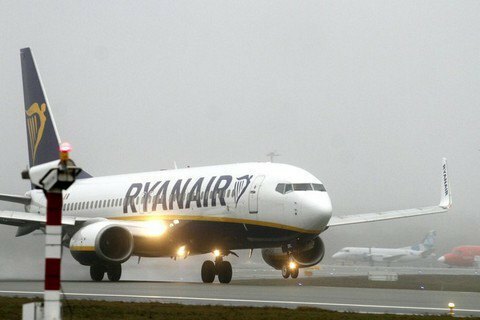 Ryanair announced entry into the Ukrainian market on 15 March and planned to start flights from Boryspil on 6 September. On 10 July, Boryspil airport declined a number of Ryanair requirements, estimating the probable annual losses from the airline's operation at 2bn hryvnya. After that, Ryanair announced the cancellation of flights to Ukraine but resumed talks after government intervention.